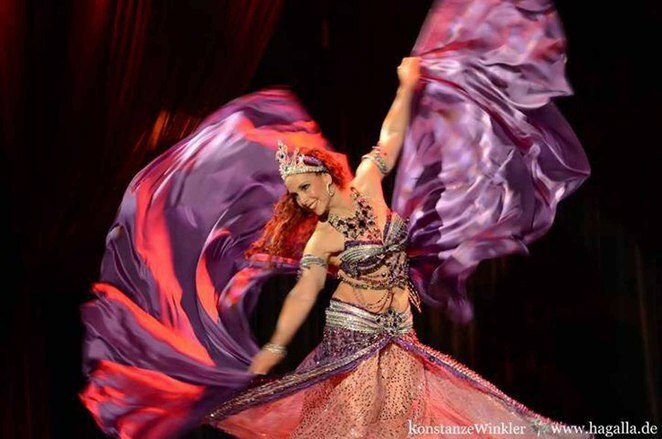 Bellydance Evolution is the love child of internationally acclaimed choreographer Jillina. First seeing the light of day in 2009 Los Angeles, BE is anything but your stereotypical "Dance of the Seven Veils". 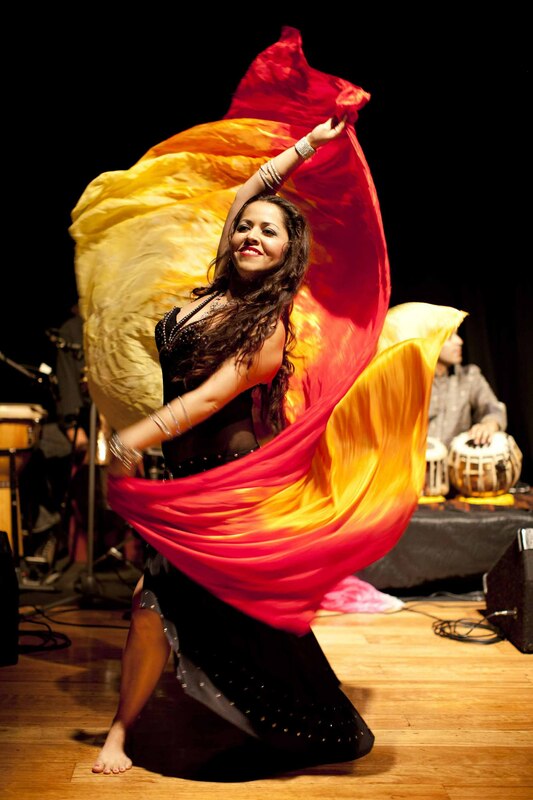 While plenty of faith is respected in its Middle Eastern roots, the fusion of contemporary western styles culminates in a truly exotic belly dance meets hip hop meets break meets tribal. The latest incarnation of BE is "Dark Side of the Crown" where this most eclectic of dance performances is mated-up with a storyline. That storyline is suitably simple. When the noble Queen of Shabanvah is the centre of a mysterious murder, an heir must be chosen from 3 daughters. Mystery, intrigue and some good old fashioned back stabbing unfold via some beguiling choreography courtesy of Jillina's insightful passion. The plot is interpreted over 2 Acts and flows seamlessly across 13 exotic dance scenes. The dancing itself is impressive in the extreme. Peruse the CVs of the cast and such an eye-catching performance is hardly surprising. Jillina and her primaries are naturally the big ticket items. However, the smattering of local talent from assorted belly dance academies Australia-wide are not overwhelmed. A whimsical and semi-comical counterbalance to the primaries are the 2 royal guards. Julian Granomort from Martinique and Brazilian Danielo Mendes were a big hit with the female set of the audience. These 2 break dancers take an admirable shot at stealing the whole show. Overall, this is an energetic and vibrant production with just the right degree of parody in not taking the plot too seriously. And that plot is in reality secondary to the performance anyway. The Dark Side of the Crown does plate up a tale and a message but the production is all about the dancing and majestic that is. For a near 60 year old reviewer who struggles to touch his toes, it's difficult not to be inspired by the athleticism and rhythm of these performers. Little wonder this show has sold out in 20 countries prior to arriving on our shores. That "sold out" trend followed suit at Parramatta's Riverside Theatre. That audience, by the way, lapped it up. The crowd was almost as animated as the artists on stage. Judging by the patrons' reactions, there was a healthy proportion of belly dance faithful in the numbers. This is whole sub-culture that I was ignorant even existed and their enthusiasm was spicy side dish to the aura. It also helps having a delightful venue with its artistic heart in just the right place. The Riverside Theatre hosts over 700 performances annually across its 3 theatres and it's institutions such as this that are bolstering Parramatta's ever-growing creative reputation. No longer the "westie burbs", Parramatta is now the geographical centre of the Greater Sydney Area and bohemia has come to town. Why? If you love your dance performance, this is the show for you.